Nokia has launched the all-new X series smartphone Nokia X71 in Taiwan today. The X71 smartphone comes with triple rear cameras and also feature an in-display front facing a camera. This doesn't have an in-display fingerprint scanner but has a rear-mounted fingerprint scanner instead. The Nokia X71 is expected to launch globally as Nokia 6.2 but we have to wait for the confirmation from Nokia. It is priced at NT$ 11,990 (around $388) and will go on sale in Taiwan starting from April 10th with Black colour option. Currently no details available about its global roll-out. It comes with a glass back and has a metal frame as well giving it a premium look and feel. The Triple rear cameras come with ZEISS optics for excellent photography and run on the Snapdragon 660 processor with 6GB of RAM making it a beast for mobile gaming. It has a full-screen display and runs on stock Android 9.0 Pie. 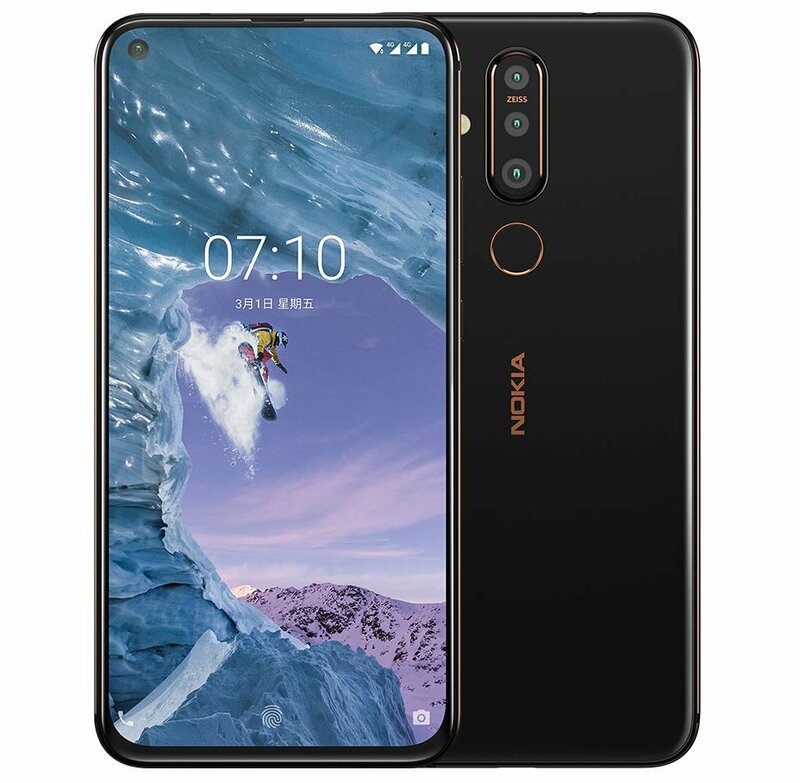 The Nokia X71 features a 6.39-inch Full HD+ 19.3:9 2.5D curved glass display, 1:1400 contrast ratio, 500 nits brightness, 96% NTSC Color gamut and 2316 × 1080 pixels resolution. It is powered by the octa-core Snapdragon 660 14nm Mobile Platform (Quad 2.2GHz Kryo 260 + Quad 1.8GHz Kryo 260 CPUs) with Adreno 512 GPU. It comes with 6GB of RAM and 128GB internal storage capacity that is expandable up to 256GB storage with microSD card slot. It runs on the Android 9.0 (Pie) OS out of the box and supports Hybrid Dual SIMs (nano + nano / microSD). It carries a triple rear camera as we discussed earlier with a 48-megapixel camera with f/1.8 aperture, 0.8µm pixel size, 6P lens, ZEISS optics an 8-megapixel 120° ultra-wide lens and a 5-megapixel camera with f/2.4 aperture and Dual LED flash. It also has a 16-megapixel front-facing camera with ZEISS optics. It has a 3500mAh battery with 18W fast charging support and comes with connectivity options such as Dual 4G VoLTE, WiFi 802.11 ac (2.4GHz + 5GHz), Bluetooth 5, GPS + GLONASS, USB Type-C (USB 2.0), 3.5 mm headphone jack and also supports Nokia OZO Audio. It has a fingerprint sensor on the rear side. It measures 157.19×76.45×7.98mm and weight of 180 grams. Let's wait for the company to launch it as Nokia 6.2 in the coming weeks outside Taiwan.